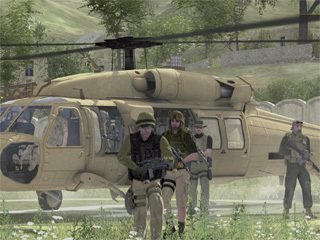 Copyright © 2007 Bohemia Interactive. All rights reserved. This product contains software technology licensed from GameSpy Industries, Inc. © 1999-2007 GameSpy Industries, Inc. GameSpy and the "Powered by GameSpy" design are trademarks of GameSpy Industries, Inc. All rights reserved. Open AL Copyright © 1999-2007 Creative Technology Ltd. Vorbis Sound Compression Codec Copyright © 2001 Xiphophorus. Speex Codec Copyright © 2002 Jean-Marc Valin. http://www.armedassault.com ArmA: Queen's Gambit © 2007 505 Games. *Operation Flashpoint is the US registered Trademark of Codemasters Software Company ltd. ArmA: Queen's Gambit is sold and distributed by Bohemia Interactive a.s., which is not affiliated with, authorized by or related to the trademark owner.